Little Louie's Cupcakes is a business owned by Jes Clemente. The name was taken from her little sister, Louie (yes, Louie exists!). She figured out that the younger sister won't stay twelve forever, which is why, to immortalize the image of the little girl in green and tan uniform always complaining that her ate (older sister) does not love her enough, Jes and her mother opened Little Louie's Cupcakes! :) You know what's even sweeter? Louie always got the first cupcake every time Jes would bake! 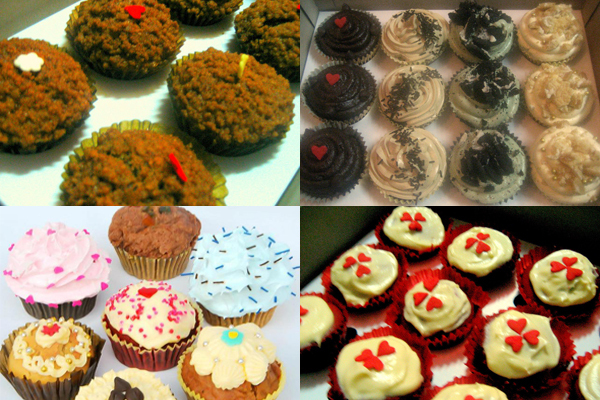 Their cupcakes are baked using only fresh ingredients to satisfy their customers' taste buds. Furthermore, each purchased cupcake is prepared with precision to achieve the right degree of moistness just the way Little Louie likes it. Opening this store to many people is also another way of sharing the love the two sisters have for each other! CRAVING FOR CUPCAKES YET? *bats lashes* Good! That was the plan. But what's even better is you have the chance to satisfy that craving because Little Louie's Cupcakes will be giving away a box of assorted cupcakes this week!! Amazing, right? Because we know it's still finals week for some, we're making it quick and simple ;) After all, you deserve a reward after a year of hard work! 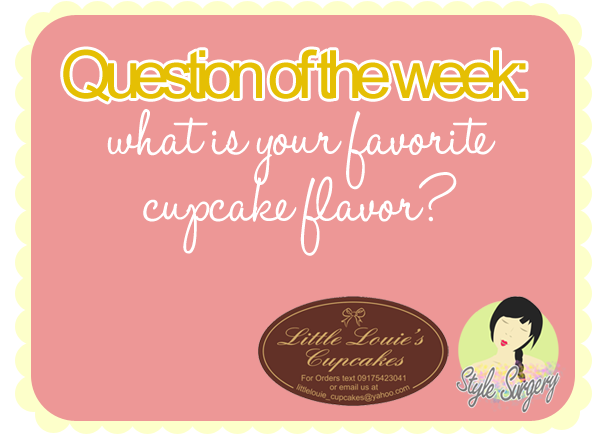 My favorite cupcake flavor is (flavor)! I want cupcakes from @Little Louie's Cupcakes c/o @Style Surgery by Megann at http://bit.ly/HDU4nO! * Entries will be accepted until Saturday (April 7, 2012 at 11:59PM) and will be announced on Sunday.